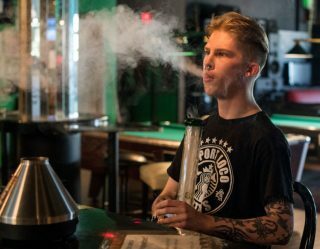 Drones are beginning to find themselves an audience outside of the hobbyists that have been championing them since they became viable consumer products, with even Amazon jumping on board the new-found love for these multirotor helicopters by way of trying to successfully implement air deliveries into its Amazon Prime service. But with so many to choose from, which are the best drones currently on the market? DJI bills itself as the world leader in drones and quadcopters, and it’s difficult to argue with that statement given the company’s pedigree. 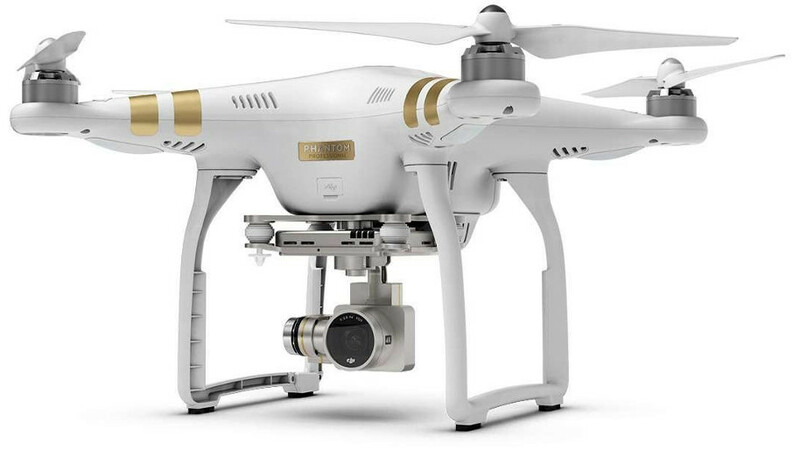 The renovation of its ultra popular DJI Phantom 3 drone, by way of attaching a 4K Ultra HD camera to its rear complete with a fully stabilized 3-axis gimbal in order to capture steady, beautiful video footage, makes it a strong leader in this particular category. 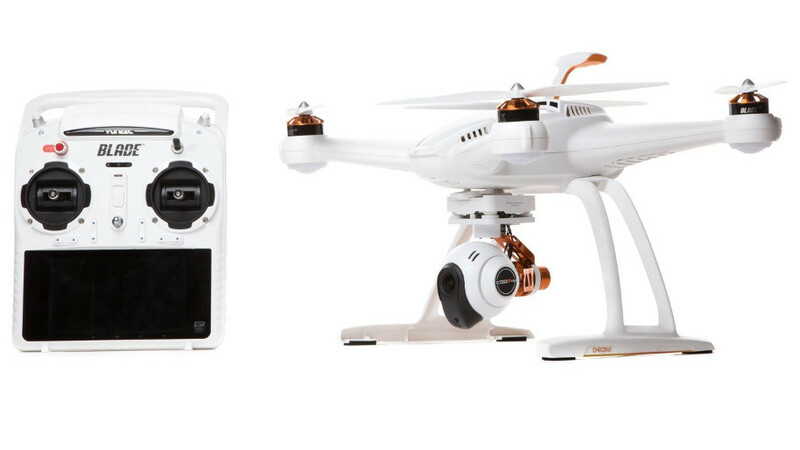 Couple this with its ability to live stream in 720p, with the iOS and Android DJI Pilot app granting full control over its camera, and the DJI Phantom 3 4K is an undeniable front-runner in its field. On the slightly cheaper end of the UHD-ready drone spectrum is the Blade Chroma 4K, a nimble little quadcopter from Horizon Hobby that provides steady aerial video capture and a controller with which to view your footage, thanks to its 5 ½ inch Android touch-screen display. Along with giving you a live feed of the Chroma camera’s view, the touchscreen also displays key information such as speed, attitude and battery life, giving you a detailed analysis of your flight without the need for an extra smart device. Blade’s Chroma also features a “Follow Me” mode in which the drone tracks the user’s movement, allowing you to focus all of your attention upon controlling its camera in order to achieve the perfect shot. It’s a nicely rounded package for those specifically looking to record their drone adventures, with it providing a good setup for the fledgling drone hobbyist who may struggle with the multi-tasking required by other camera-equipped drones. For those who love their gadgets and would therefore prefer a drone that comes with a bunch of features to tinker with, the 3DR Solo is a safe bet. 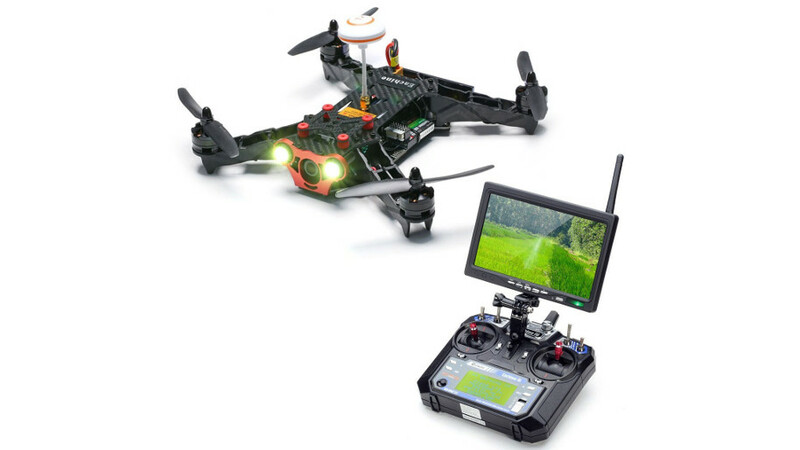 With a controller that looks like it was designed to work in tandem with a video game console rather than a quadcopter, it pairs with your mobile device in order to provide intuitive control over both your drone and its camera, allowing you to stream in HD directly to your smartphone while providing you the ability to adjust and save preset camera angles, adjust the drone’s gimbal remotely and browse in-flight data. 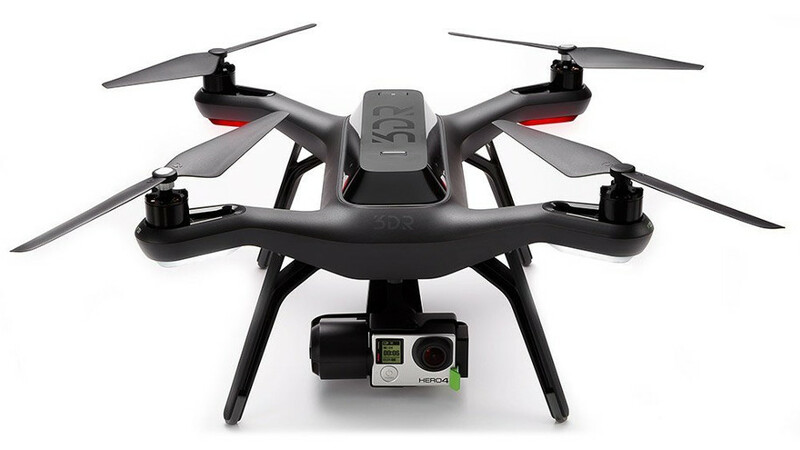 While the 3DR Solo doesn’t come with a built-in camera, with creators 3D Robotics instead reliant upon the user to attach their own action cam to the device, it is the first drone that can both control the quadcopter and its camera positioning automatically mid-flight. Utilizing its dual 1 GHz Linux computers, the user can set the drone to embark upon a predetermined flight path, in which it will follow a set list of instructions given to it prior to take off in order to navigate its surroundings, orbiting various subjects or remaining locked onto a target by way of both its Orbit and Follow commands. A great device for drone hobbyists to tinker with, the 3DR Solo offers a plethora of features for those who really want to sink their teeth into it. 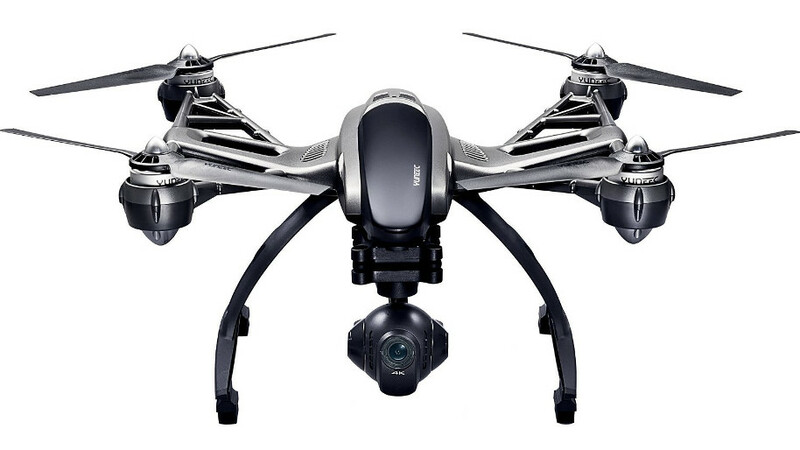 Another strong drone for video recording, Yuneec’s Q500 4K Typhoon drone utilizes its CGO3-GB, 3-axis gimbal stabilized camera to produce steady shots and recordings, with its 12 MP photo quality and 4K resolution making it one of the most proficient camera-equipped drones on the market. However, the real perk of the Q500 4K Typhoon is in the amount of fiddling one can do with its camera customization options, with users able to alter its white balance and light exposure, along with record 120 fps slow-motion video. Designed from the ground up for aerial photography and video capture, that the Q500 4K Typhoon can record in crisp UHD at 30 fps is complemented greatly by the options at the user’s disposal, all relayed through a controller with an integrated LCD touchscreen. Couple this with smart modes Follow Me and Watch Me, along with a Dynamic Return Home mode that causes it to automatically land at a safe distance away from the user, and Yuneec’s quadcopter is a feature-packed drone impressive enough to inveigle everyone from dedicated hobbyists to beginners. If you’re looking for a drone that places speed above everything else, then Hobby-Wing’s Arris FPV250 BNF is a great place to start. Providing an excellent gateway into FPV (first person view) racing, the Arris combines high speed with a durable, composite fiber glass body in order to ensure that it won’t crumble on your first test drive. Though it unfortunately doesn’t come with all the tools necessary to fly right out of the box, its relative inexpensiveness means that those purchasing it shouldn’t feel too hard done by when they need to purchase a separate controller. A great way to make your first steps into drone racing, the Arris FPV250 BNF is a steal at its current price point. 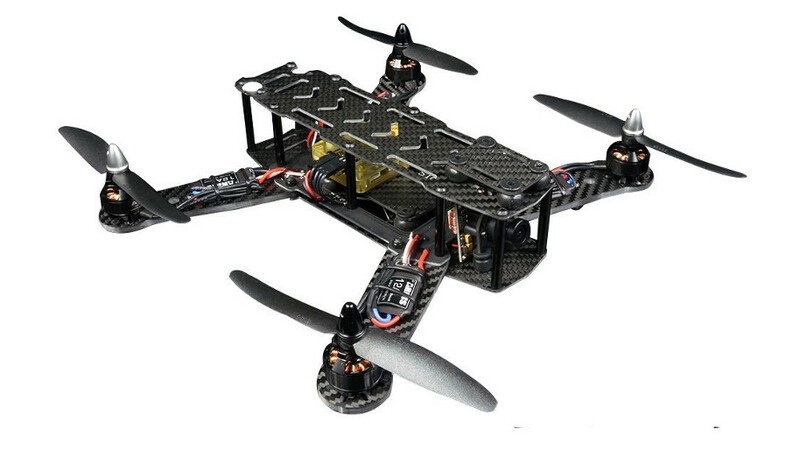 A high speed drone that reaches speeds of up to 30 MPH, Eachine’s Racer 250 is unique in its class thanks to its 1000TVL Camera, which comes equipped with night vision in order for you to practice flying on the evenings. Then there’s the 7-inch monitor located on the controller, streaming footage of your flight without the need for FPV goggles, granting you the excellent opportunity to test out your racing drone in a public space without needing to strap a large head-mounted display to your face. The Racer 250 is also perfectly suited to ranged flying, with it able to travel up to 1 mile away from the user, making it the perfect companion for long distance FPV competitions in which you’ll want to ensure that you don’t lose connectivity with your device. A powerful quadcopter that, unlike other drones in its class, actually boasts quite a few features for users to sink teeth into, the Racer 250 is a solid purchase for those looking to make their first foray into FPV. 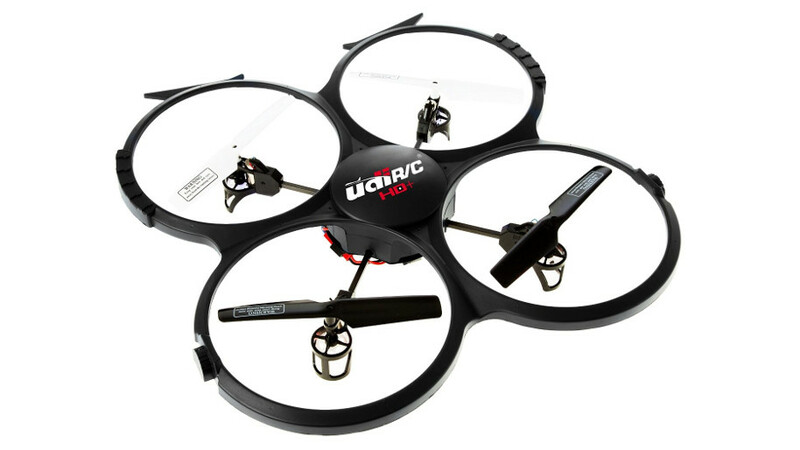 The very best drone for a newcomer to the hobby is arguably the UDI U818A, which offers a well-rounded package for those not yet comfortable enough to splash more serious cash upon a quadcopter. With two flying modes, normal and high speed, allowing users to carefully ease themselves into controlling their quadcopter, UDI have also included a camera that records video and takes photos mid-flight at the press of a button, storing them on an SD card for later viewing. Though you shouldn’t expect the same amount of features as the other drones on this list, for under $100 the U818A offers an unparalleled amount of tools to get you off the ground (literally and figuratively) when it comes to commandeering your first quadcopter. 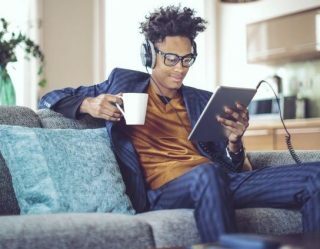 Unless its price is still a little more than you’re comfortable with paying, then this should be every beginner’s first choice. 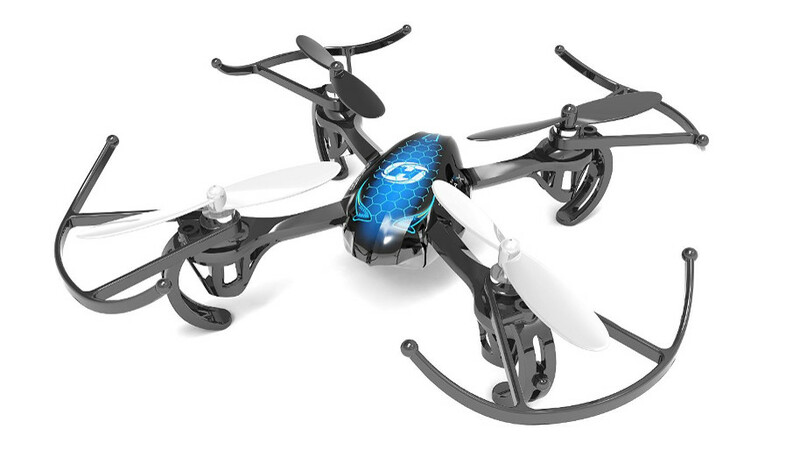 If you’re looking for a drone on an even tighter budget it’s preferable that you opt for a mini quadcopter, with Holy Stone’s HS170 Predator being a safe bet. With wind resistance being one of the most important factors for a drone of this size, the HS170 Predator is capable of resisting mild winds up to 30 – 50 meters away from the user. 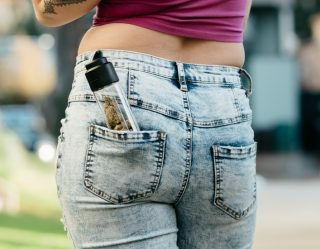 Suitable for both indoor and outdoor flight, the Predator packs a lot of punch considering its short stature, allowing newcomers to hone their skills before moving onto something bigger and pricier. 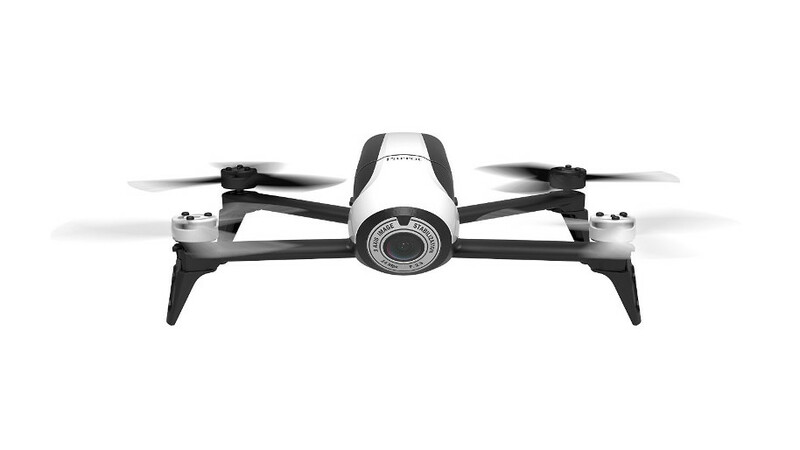 While the Parrot Bebop 2 might be outperformed in terms of the quality of its camera by other drones featured on this list, the popular quadcopter certainly looks the part and features a unique gimbal-less approach to recording aerial video footage. With the cylindrical shape of its body, the Parrot Bebop 2 successfully conceals its built-in 1080p camera within its chassis, with only its 14 MP fish-eye lens being visible from the outside. It also features an LED light at its rear that allows for greater visibility in darker lighting, while its accompanying FreeFlight 3 app also provides an intuitive overview of your flight with its streamed video. Available in red and white, few quadcopters on the market look as good as the Parrot Bebop 2, and while it may not be as technically accomplished as some of its peers it’s still a quality purchase for its price point. If you want a drone that is going to match premium appearance with premium quality, then the DJI Inspire 1 V2.0 fits that bill perfectly. Though it’s very much a top of the range quadcopter with a very expensive price tag to boot, DJI’s $2,400 drone looks like something ripped straight out of a futuristic sci-fi film, with all of the high quality features you’d expect from such a pricey machine. 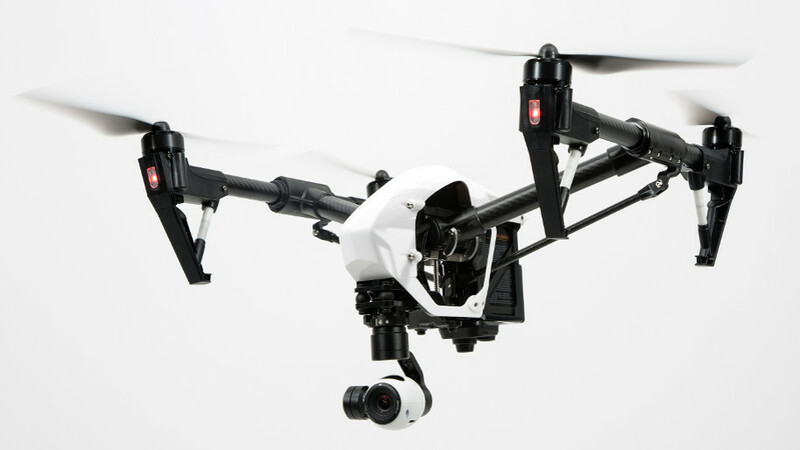 The ideal drone for those who want to get serious about their aerial filmmaking, the Inspire 1 V2.0 is far more than just a quadcopter for those who simply want to fiddle around with a few settings and go for a quick fly over their local park. 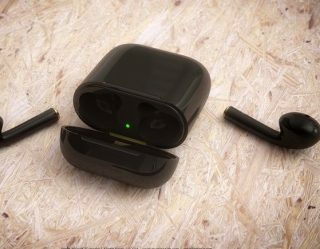 Its 4K camera, which is fully removable enabling the user to make their own upgrades to it, is capable of recording some of the most impressive video footage you’ll ever see captured with a drone. 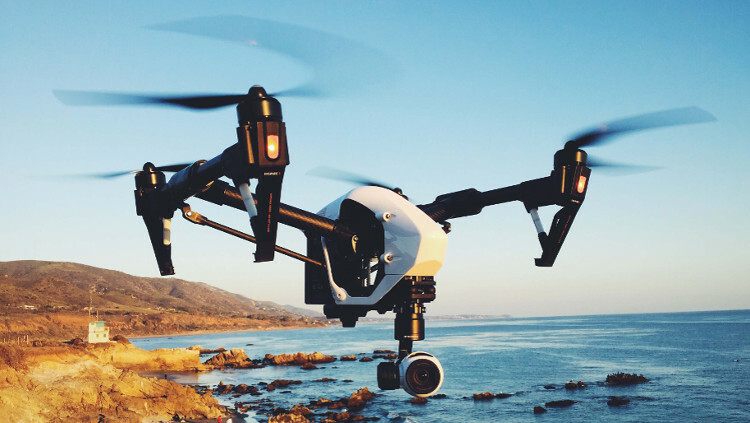 Purchasing an additional controller also allows the user to control both the drone and the camera separately, providing an extra feature that allows for two users to capture the most perfect shots possible. For those looking to go serious with their hobby, this is one of – if not the – very best drone option. Have you tested any of the best drones on the market? Let us know what your favorite drones are and why in the comment section below.